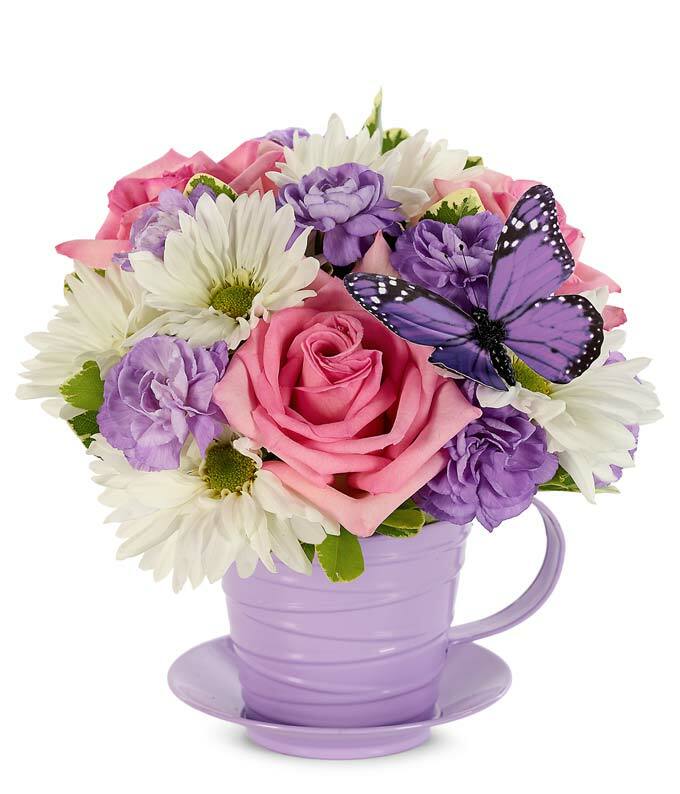 Pink roses, florigene mini carnations and white daisy poms are joined by a flirty butterfly in this masterfully crafted bouquet that makes an ideal gift for Mother's Day, for Easter and to simply celebrate Spring. Completing the look is a charming container in the shape of a teacup with saucer. Teacup container may vary depending on local florist's availability.